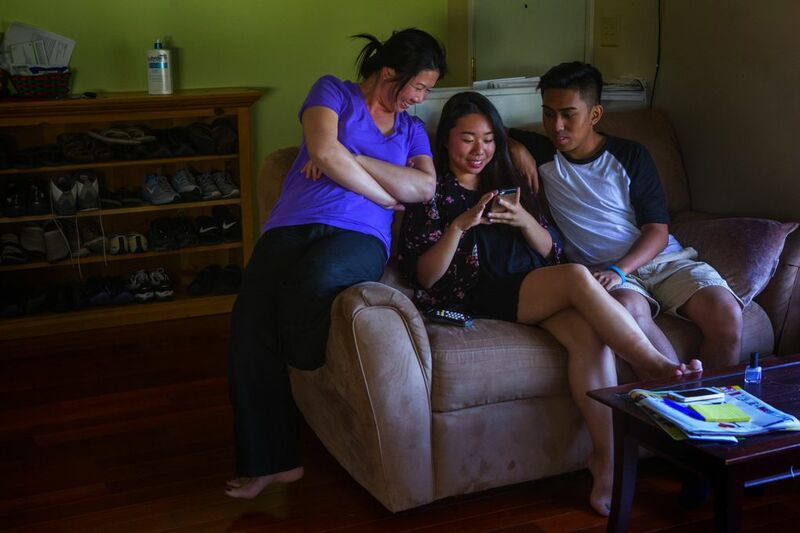 In Seattle, one-child families have long been common. Nearly 47 percent of households with children are one-child families. The national average is 20 percent. DR. JIM COPELAND didn’t know any only children until high school and college. He saw them as tied so closely to their parents that it was difficult for them to wander too far. He thought it would be a curse to grow up alone, missing out on the experiences and lessons learned from being part of a larger family. Now he and his wife, Pamela, are raising an only child. 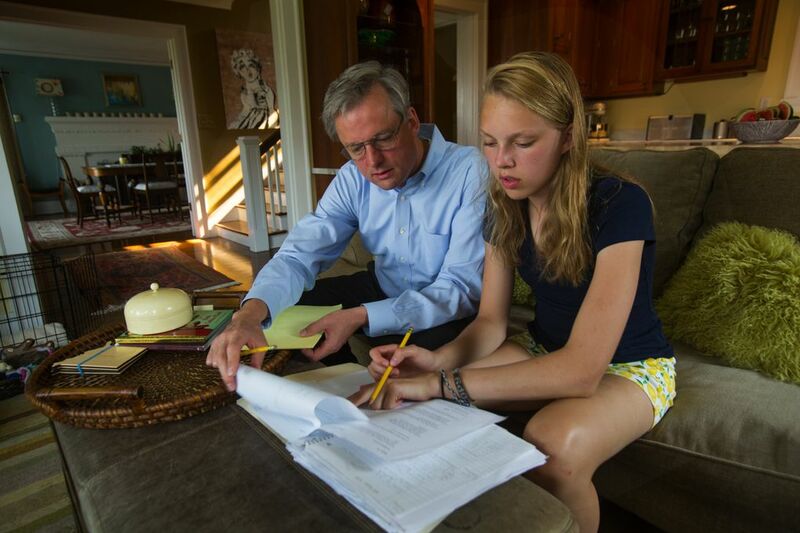 His daughter, Sophia, is an eighth-grader, a 13-year-old with a broad social circle and deep connections to her parents. Pamela has no such reservations. Though she has two siblings, they rarely talk. Instead, Pamela says, she found family in a circle of friends who are like sisters to her. She trusts her daughter will find the same, and intentionally connects her with groups of people separate from each other so that girl drama in one place doesn’t flood the zone and leave her alone. “She’s a happy kid,’’ Pamela says. The Pew Research Center reports that the average size of an American family has been shrinking, from 3.7 children in 1960 to 1.9 today. 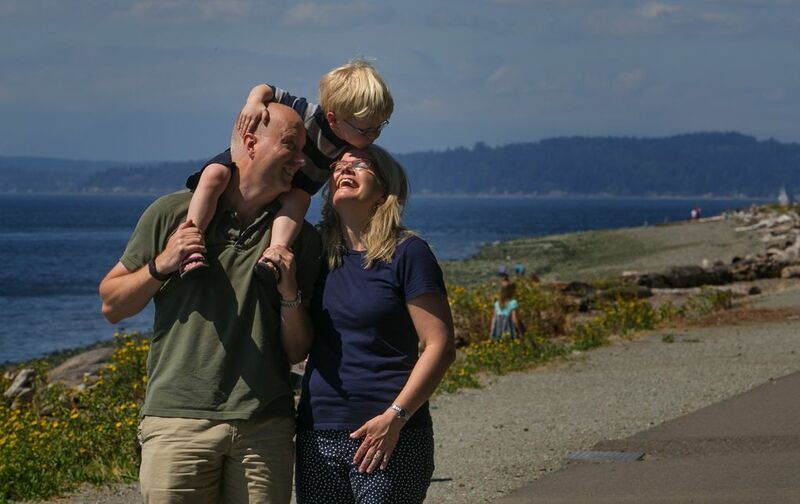 Seattle is ahead of that curve: the average size of a Seattle family, including parents, is 2.87 people, one of the lowest in the country. Demographer Joel Kotkin, a fellow in urban studies at Chapman University in Orange, Calif., sees the shift as a move toward what he calls “postfamilial America,” a place where having children is optional. 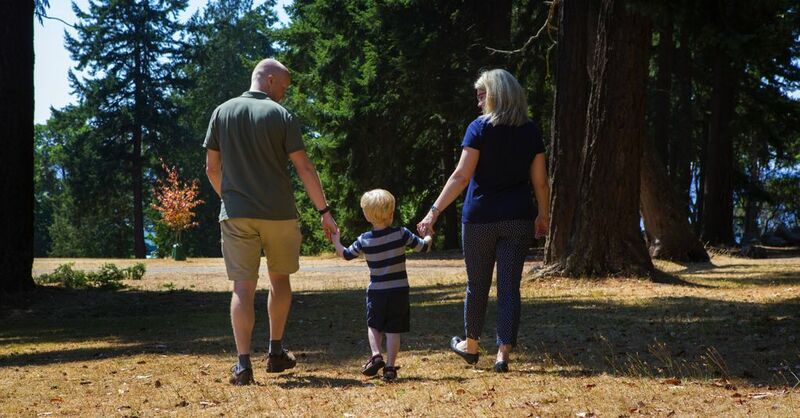 The national birthrate has picked up since he wrote that in 2013, but in Seattle the percentage of one-child families has held steady. Here, one and done is normal. THE ONE-CHILD phenomena has caused lots of hand-wringing and generated a slew of research to determine whether only children are as popular, as smart, as well-adjusted as kids with siblings. In an age of professional parenting, people want definitive answers: bringing a kid into the world, only to be told that your adorable progeny will likely grow into a spoiled, ill-mannered, overweight, anxious loner with an extremely good vocabulary is not exactly the stuff of parental fantasies. Social psychologist Susan Newman, author of numerous books and articles on the subject, says only children continue to battle myths that they’re selfish, spoiled, lonely, aggressive, too dependent and self-centered. Parents should avoid the noise, she writes, because research shows that only children fare as well as counterparts with siblings. The fact people feel compelled to defend themselves against only-child perceptions or justify and explain their choices is a testament to the staying power of stereotypes, the bias of experience and fear of the unknown. Grow up in a house full of children who played (mostly) well with each other, and you might find the relative silence of a home unnerving, something akin to solitary confinement that leaves a child starved for experiences, stimulation and human connection. Or you might crave quiet instead, remembering the chaos, the pecking order, the endless compromises and the pain of having a brother or sister to whom you no longer speak. An unscientific poll of more than 5,000 parents of only children at the Only Child Project revealed familiar fears and worries (respondents could answer yes to multiple choices): nearly half said they worried their child would grow up without siblings (49 percent) or would lead a lonely existence (48 percent). Others worried about what would happen after parents die (a concern for 42 percent), or age (35 percent), whether their kids would have playmates (27 percent) or lack social skills (21 percent). As for why they had an only child — again, able to vote for more than one answer — 25 percent of the parents said they “wanted it that way.” Other reasons: infertility (21 percent), financial concerns (17 percent), a spouse who wanted only one child (17 percent), mother’s age (16 percent) and other medical reasons (12 percent). Clearly, one-and-done parents still are worried. So, because we’re a city filled with singletons, let’s check in with some of the people who have been there. 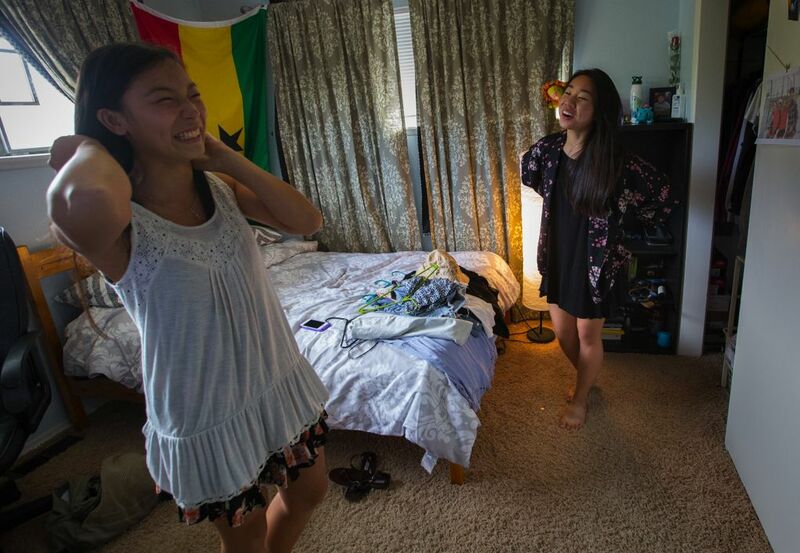 LENA TRAN, a 16-year-old Cleveland High School senior is quite happy with her status as an only child. Tran is not so spoiled she gets everything she wants; this summer, she worked full time building and maintaining parks through The Student Conservation Association. “I like having my own money,’’ she says. 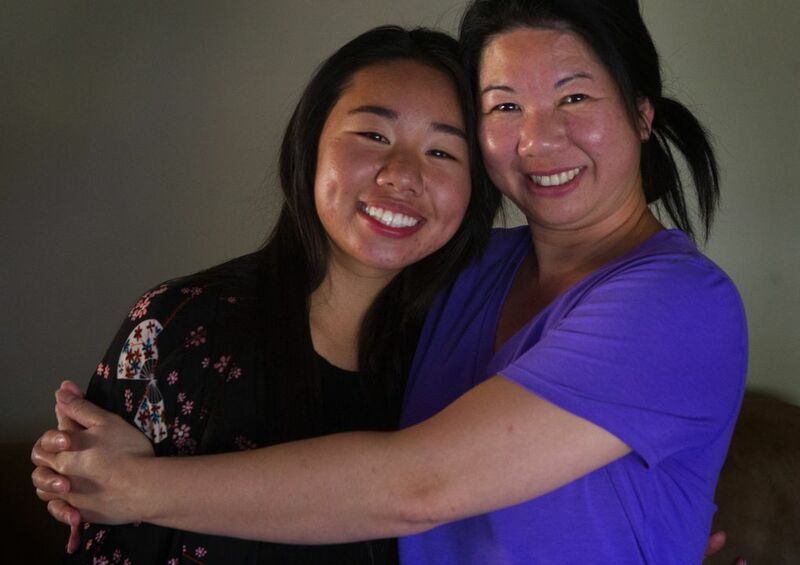 Tran’s parents each came from large families, so she’s got more relatives than she can count. Close cousins live a door away, and Tran has befriended a neighbor she regards as a sister. “She’s always there for me,” she says. Tran says her mother “taught me how to be a good friend.” And being alone a fair amount of time taught her independence, she says. The only down side is the pressure she feels to succeed, something she says is important if she is to watch over her mother later in life. Only child Tad Carr, 49, has no such expectations. Carr, an artist who works as an assistant manager for the Admiral Theater in West Seattle, has a 24-year-old son who lives with him in South Seattle. Carr says he can’t imagine asking his son to take care of him when he’s older or making sure his son stays connected with friends. “He has his own life,’’ he says. Carr grew up in Seattle but in his teen years jumped around between the Carolinas, Florida, Texas, Georgia, Pennsylvania, Tennessee and Hawaii. Still, he says he never lacked playmates, and counts as his best friends three women he met while living in the south. His mother, he says, let him find his own way socially. “You can’t pick friends for your kid,’’ he says. And yet parents of only children are often intentional in their efforts to socialize their children, laying the foundations for long, lasting friendships that become like family. AMY KELJO was raised an only child in Chicago and was determined to have two children after marrying in her 30s. Her dad died when she was 9 years old, and her mom was diagnosed with Alzheimer’s disease when Keljo was in her 20s. The emotional and financial cost of finding and paying for assisted living for her mom fell to her, she says, and she didn’t want to similarly burden her child. But Keljo, whose 3-year-old son, Ian, was born when she was 36, wasn’t able to have another child. She finally abandoned the idea after two failed fertility treatments and says she has only recently come to terms with that fact. “As I was trying to make that emotional transition, I was talking to people about it, and realizing that a lot of the reasons that I was hellbent on not having a single child were all based on my perceptions and my misperceptions of what that was like,’’ she says. She read books such as “One and Only,” which dispelled the negative myths of the only, and listened as her mother’s caregiver told her about siblings who engaged in elaborate chess moves to put themselves in position to be the last person to change their parents’ will. Keljo is investigating longterm-care insurance and has filled out advance directives for health care so her son won’t have to make difficult choices. 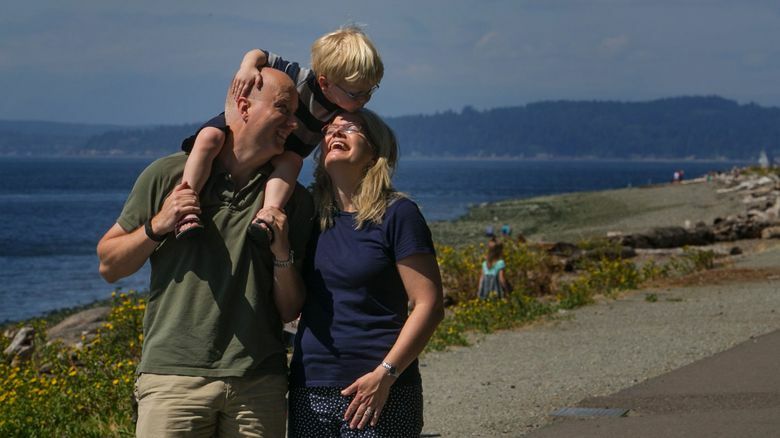 She and her husband, Jonathan, have made saving for retirement a huge priority, she says. Finding connection here has proved to be her biggest challenge. 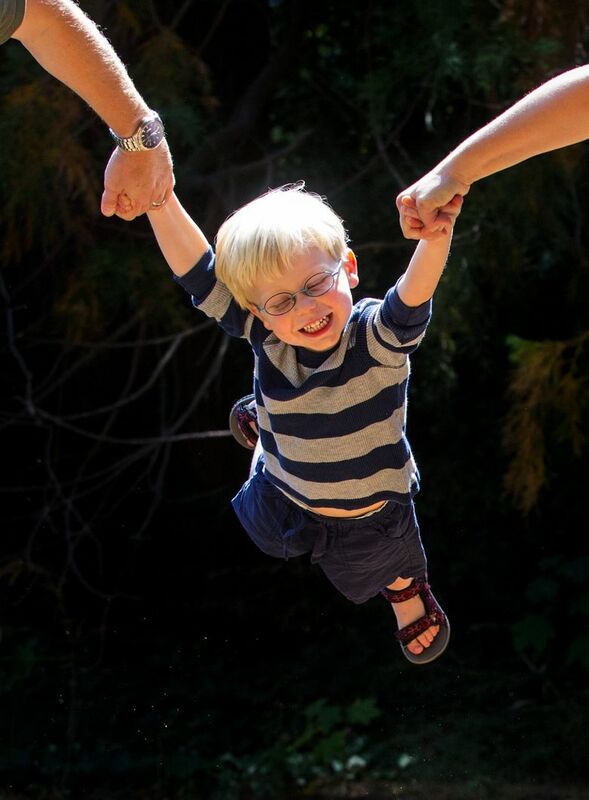 A meetup group she founded for parents of only children has yet to bear fruit. “I’m the one who wants to make things happen, and others don’t feel the need so acutely,’’ she says. “You have to pick up the phone and work harder to make relationships because you don’t have six siblings who are going to come over for dinner every week. I have multiple people I can pick up the phone and say, ‘I need you,’ and they would come right now.” She wants the same for her son. TIFFANY PRINOS is heartbroken and reeling from her mother’s death. 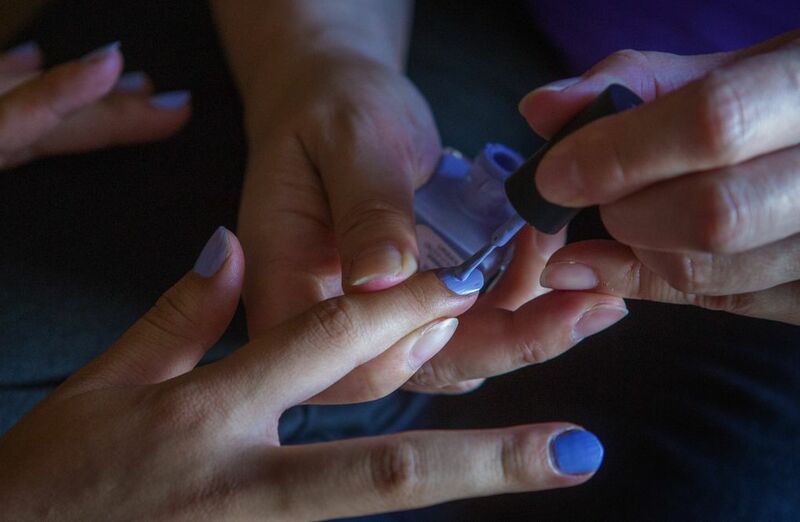 It has been only a week since Arvella Prinos died at age 63 from a sudden illness, and Tiffany, 32, is finding it difficult to let anyone help out with the million things that need to be done. Her mother was precious to her, Tiffany says, and she knows no one would care for her mother or her belongings in quite the same way. 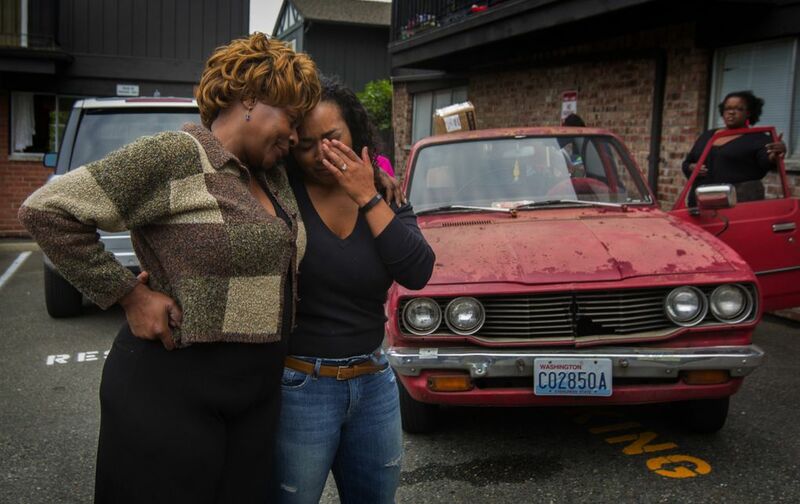 Growing up in Ballard as an only child, the daughter of a white father and black mother, Tiffany’s mom made sure she was connected to the large brood of aunts and cousins who lived nearby. 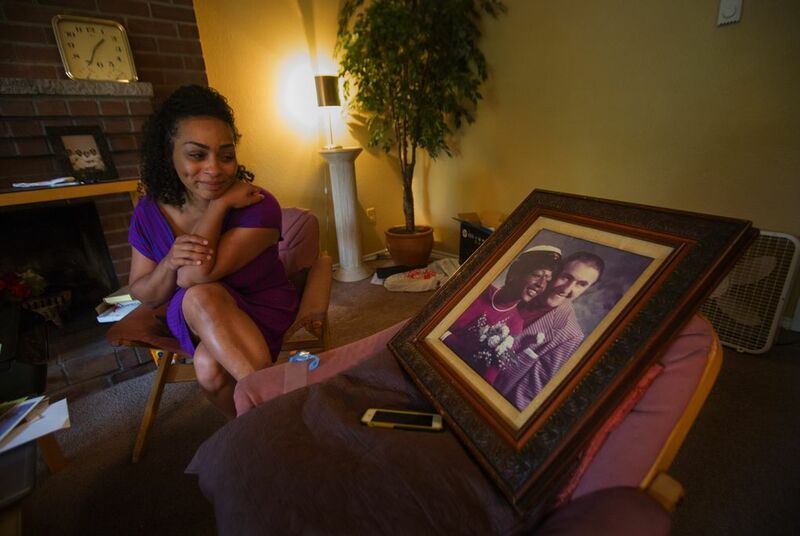 “She wanted to make sure I was close to my African-American cousins and aunts so I could understand and identify what it meant to be a black woman, to help shape and build that identity, especially as I was growing up in areas that were predominantly white,’’ says Tiffany, whose father died when she was 13. Tiffany, who married in January and moved to Missouri a few months ago, said one of those childhood friends got her mother to the hospital the night she became sick and stayed there with her until Tiffany arrived the next morning. MY FRIEND Jane Carroll Andrade, the eldest of four girls, said she finds it curious that people tend to focus on what only children don’t have. Copeland, the emergency room doctor, agrees. Susan Kelleher: skelleher@seattletimes.com or 206-464-2508. On Twitter @susankelleher. Ellen M. Banner is a Seattle Times staff photographer. FYI Guy Gene Balk contributed to this story.